There is no denying that having a child dramatically transforms your life. For many first-time parents, this process can be overwhelming. Life is never going to be the same. It doesn’t matter how many times you hear it, life as a couple and life as the parents of a child are two completely different entities. 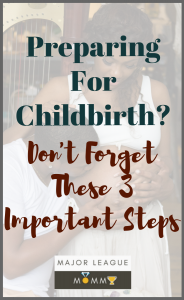 Mentally and emotionally, you need to embrace the concept of starting a family long before the birth of your child if you want to hit the road to motherhood running. Becoming a Mom is not always an easy process. It will take months of careful preparation from the moment you find out you’re pregnant to the moment you can hold your baby for the first time in your arms. Having this time is crucial to get ahead of the game and prepare for the arrival of your little bundle of joy. Start building your baby registry. You will have to make sure you’ve got all the necessary baby gear before the birth. You’ll be far too busy after the birth to prepare the nursery room, the baby bath essentials, and the outdoor equipment. As a rule of the thumb, it’s a good idea to start looking into practical and cute baby items during your second trimester so that you can be ready to buy everything you need during your last trimester. If you’re superstitious, don’t buy anything too early during your pregnancy. However, focusing the final months of the pregnancy to baby purchases and home preps means that you’ll be spending a lot in a short time. If you haven’t started your baby funds, you can make things easier with Cash Smart Loans or any similar lending solution. You’ll find as well as a lot of quality second-hand items on Baby Outfitter. You might be tempted to sit down and relax, but pregnancy is not for staying idle. Your body goes through a lot during the pregnancy and even more through the labor, so it’s crucial to keep fit and strong. It’s a good idea to start preparing your body as early as possible, even before getting pregnant if you can. But, ultimately, you need to exercise to prepare your body for childbirth, protect your joints and back, and avoid lasting effects. You’ve probably heard of the diet risks to avoid when you’re pregnant. Smoked and raw meats have to be avoided entirely. Unpasteurized dairy products are a complete no-no during pregnancy. But you also need to keep your diet high in vitamins, calcium and folic acid before and throughout the pregnancy. To reduce risks of miscarriage and other complications, it’s recommended to make changes in your diet as early as possible – and even pre-pregnancy to increase your chances. Cutting down on caffeine is crucial – you can cut it off entirely – as well as quitting harmful habits such as smoking. Pregnancy is a long journey for which you need to prepare both your home and your body. Healthy and happy mommies are those who’ve been planning the most carefully, from the baby bedroom to their dieting habits. Don’t leave anything to chance; take all the precautions you can now to give your baby the best start in life. Enjoyed this post? Don’t forget to join in the conversation on our Facebook. 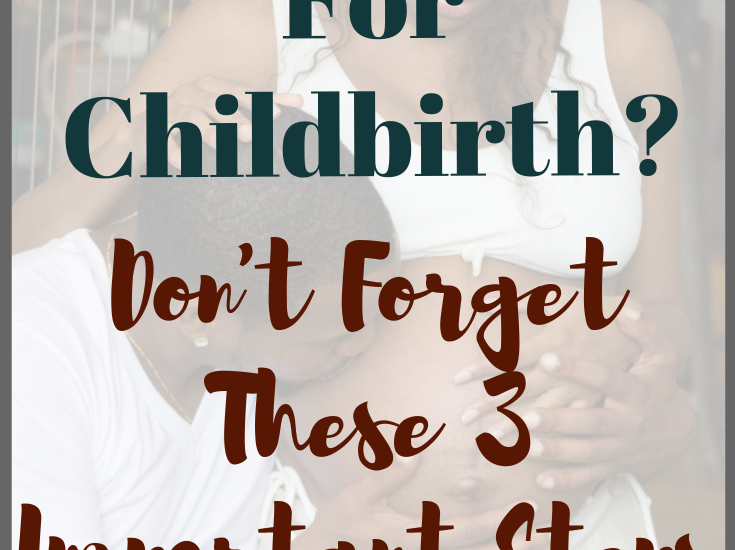 We would love for you to share your tips to prepare for childbirth.